Let’s be honest….most of us have no idea what’s happening to our hormones throughout the month. We know there are days we feel bloated, days where we just want to nap nonstop, and miraculously, a few days a month that we feel refreshingly normal. For the most part, these variations are pretty mysterious. Sure, PMS makes sense after you’ve already gotten your period, but for a lot of the month it can feel like you’re in the dark. Doctors don’t tend to be much help. It’s been my experience that anytime I have a concern about my period, hormones, or mood, the fix is a birth control pill or other hormonal patch, rather than an investigation into what’s happening behind the scenes. I believed for years that female hormones were these whacky, unpredictable things that couldn’t be controlled. And then I read Taking Charge of Your Fertility by Toni Weschler. When she explained the hormonal cycling that happens through the month, so many things fell into place. I was able to draw parallels between her explanation of our moving hormones and the stages of the cycle discussed in Ayurveda, which is the ancient Indian system of medicine. As a result, I had a framework to support my hormones, my body, and my mind throughout the month. No more thinking I’m crazy, or trying to make rash decisions when I’m in full blown PMS mode. Instead, I can support my body throughout my menstrual cycle, adjusting my eating, exercises, and activities. Want to make some sense of your hormones too? Read on to learn what’s happening throughout your menstrual cycle. This is the phase that happens right after you finish your period. During this time, the lining of your uterus is building up, and estrogen is on the rise. Because this part of the cycle is a phase of building, it corresponds to the Ayurvedic dosha called kapha, which is all about stability, earth, and strength. As a result, during this phase you tend to have a lot of energy and stamina. This is the time to hit the gym and be out and about with friends and events. You want to manage your stress during this period, because the follicular phase can vary in length based on your stress levels. If stress gets too high, estrogen will start to drop, and you might experience spotting or bleeding. Similarly, if your cycles tend to vary in length, it’s due to stress in the follicular phase that’s not allowing estrogen to rise enough, so you’ll want to look into ways to support your stress and immune systems. Once estrogen has gotten high enough, luteinizing hormone and follicle stimulating hormone are released in a big burst, and you release an egg from your ovary. After this point, estrogen will drop sharply. The high estrogen in this phase means it corresponds to the Ayurvedic dosha called pitta, which is energy, charisma, and transformation. During ovulation, were are excited, energized, and alive. This is the time to try something new, go salsa dancing, and just enjoy this beauty that is being human. Some people experience cramping during ovulation, so that could be a sign that ovulation is happening. 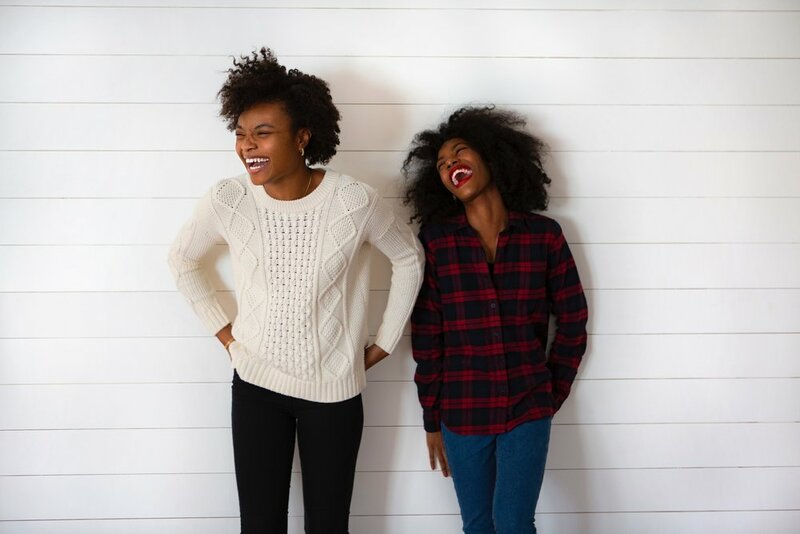 During this time, watch out for the tendency to be controlling, impatient, or need everything to go “your way.” Counter this tendency with new activities and time with friends that are easy and fun to be around. During this phase, progesterone is rising rapidly, and estrogen has a small resurgence as well. Your body is preparing to either be pregnant or to shed the uterine lining for your period. During this time, the Ayurvedic dosha called vata is rising more and more, leading to mood swings, fatigue, poor digestion, and in general - PMS. Our luteal phase asks us to start slowing down. We can still exercise and go out, but maybe start to turn down the intensity and make sure that you’re getting some good sleep and eating well. These two-ish weeks between ovulation and menstruation are going to have a big impact on how you feel when you get your period. That means eat lots of whole foods, hydrate, and get enough sleep. You want to go into your period feeling strong, well-nourished, and well-rested. Ahh - the phase that we’re most familiar with. As our estrogen and progesterone drop, the lining of the uterus sheds, and we get our period. This time of the month is strongly ruled by vata dosha, which is why you might feel super tired and low energy. During your period - TAKE CARE OF YOURSELF. Take a nap. Wrap yourself up with a blanket at work. Do restorative yoga and take walks. Drink hot water and tea, and skip the morning smoothie. You want to keep your body warm. I know - it’s super taboo to say that you need to slow down during your period, and I’ll admit that I struggled with this idea for a long time. But I can also say that allowing your body to slow down will reduce a lot of the mental and physical symptoms of your period, plus help you just feel good. We want to respect this part of our cycle, even though it goes against what we’re told we’re supposed to be doing. Also, remember that you don’t have to stay in bed for 7 days. For most women, taking it easy for the first 2-3 days of their period makes all the difference, and then you can start to get up and active during day 4 and beyond. As you go through a few menstrual cycles, you’ll start to see the patterns that occur each month and how they correspond to the phases outlined above. As you start to adjust your daily routines according to your monthly rhythms, you’ll find more balance in your hormones and symptoms, making “that time of the month” not so awful anymore. And, if you want to learn more about Ayurveda, check out the Discover Your Dosha Quiz, which helps you see what your unique mind/body type is and get tips on how to balance your dosha.